* enter your price in the box below. Call 1300 588 788 to speak with a specialist. 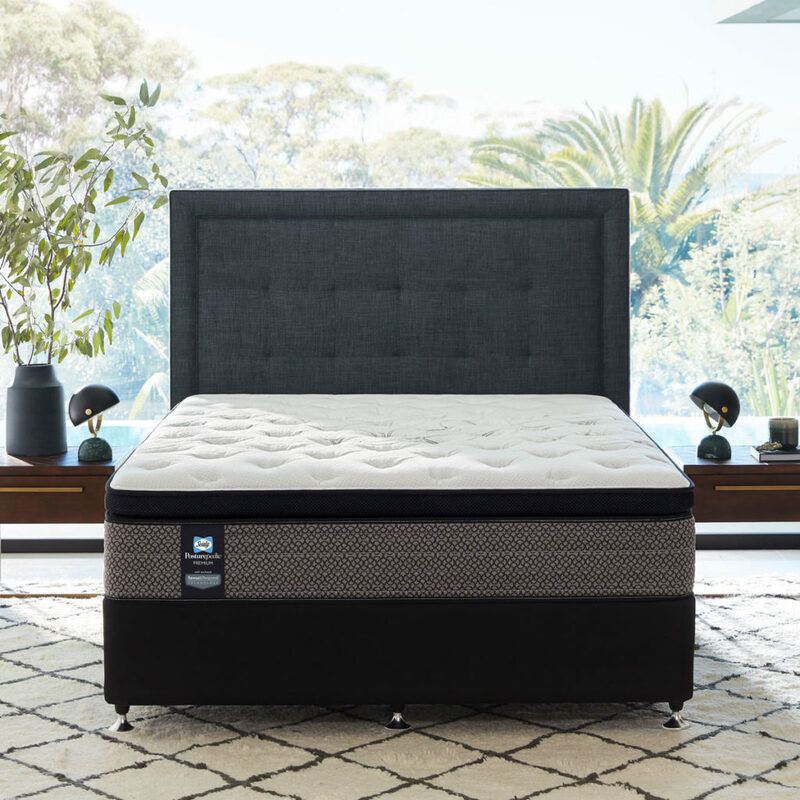 The Sealy Posturepedic Premium is the next level of luxury and support. The Sealy Premium range features exclusive Sense & Respond Technology, designed to sense the body’s weight and respond with the appropriate level of support. Sealy’s one-of-a-kind support system is strong, resilient and durable. It delivers initial soft response and firmer deep down support with each column of coils alternating for maximum stability – minimising lateral movement. Australian Made. 10 Year Guarantee. Smartex® is a dynamic fabric treatment applied to ticking after the weaving process. The treatment acts by increasing dispersion of moisture as temperature increases. This action assists the process of evaporation which in turn assists cooling, maintaining the sleep environment at the ideal temperature for the sleeper. ComfortCore® is located base of the comfort layers , across the centre third of the mattress, the ComfortCore® provides extra conformance in the important lumbar region of the lower back. The additional density in the centre third, also improves the durability of the comfort system. SRx®II Titanium Coil is the Responsive Support Technology design that has two distinct phases starting with the initially flatter and softer coil turns followed by the second phase deep down support from the steeper turns at the base of the coil. 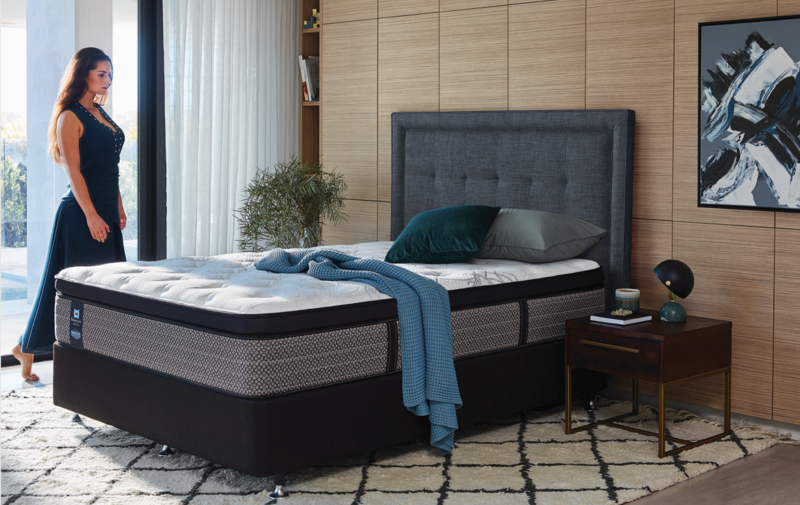 The SRx®II coil columns are aligned in an alternating pattern across the mattress providing reduced surface motion to help achieve a more restful night’s sleep. UniCased® XT is Sealy’s advanced edge support system which is a combination of KeyGuard and a BasePlank. KeyGuard is the edge, which has keys that push right into the innerspring, ensuring even side support and great stability all round. A BasePlank is a unique channelled construction that encases the underside of the mattress. The two components are heat-welded together to encase the support system around all sides and bottom. Benefits include: strong and durable edge support; minimised partner disturbance; edge-to-edge comfort; no roll-off; extended comfort life. UniCased® XT is Sealy’s most advanced edge support system which surrounds the perimeter and base of the mattress, and is a breakthrough edge support system which is a combination of KeyGuard and a BasePlank, as well as a coil inspired design, with a channelled edge that responds to weight progressively. With keys locking into the innerspring and a wider edge, it ensures even better stability than our UniCased® edge guard. Benefits include: progressive edge response; strong and durable edge support; minimised partner disturbane; edge-to-edge comfort; no roll-off; extended comfort life.